We have our six winners for our recent Boxcar 2.0 promo code contest! Thank you to all who entered, we sincerely appreciate your participation. Winners have been notified via email, so keep an eye on your inbox for your promo code! Make sure to redeem it soon, as the codes don’t last forever! Jonathan George, the developer of Boxcar 2.0, graciously provided these promo codes to Just Another iPhone Blog for the purpose of this contest. Fantastic, thanks a million !! Looking forward to getting push, looks like it works with the new Tweetie so I may pick the Twitter option to see hot it goes. 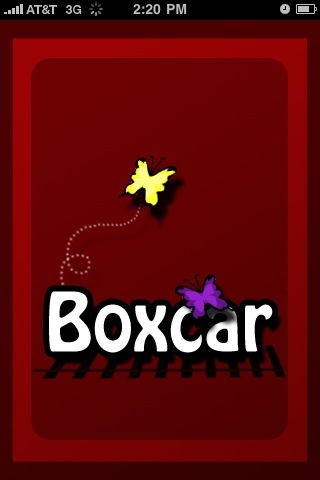 Will there be another boxcar promo code giveaway? So far, I love it! I am using it for Facebook push as I have Simply Tweet already for my twitter push. Timely notifications and several options. My only request (not only from them but all push apps) would be quiet hours. If I forget to put my phone on vibrate at night, I tend to get woken up from the sound. I know I can turn the sounds off, but I like them during the day.